Our education officer works hard in promoting the education side of our branch and encouraging our members to study for the full range of examinations and training that the BBKA has to offer. Hopefully this will lead our members to be better and more knowledgeable beekeepers. We are pleased to announce that more members of our branch have successfully passed the “BBKA Basic Assessment” this year. 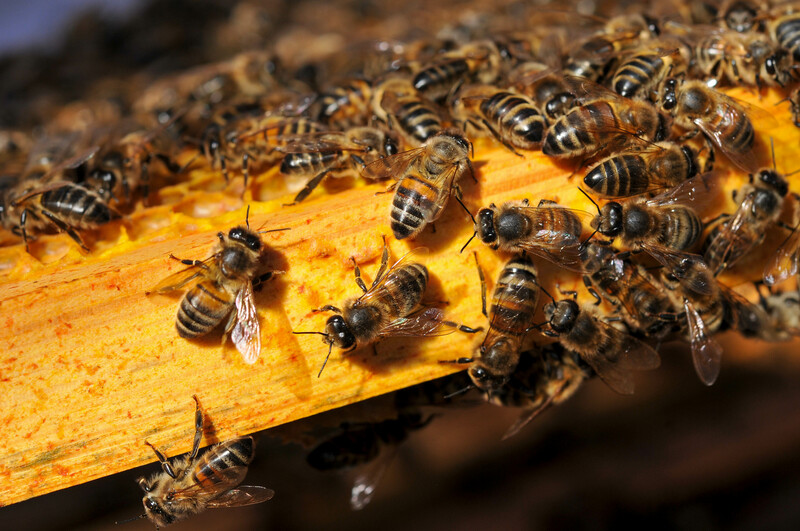 Candidates had to have kept bees for at least 12 months. Study groups have also been set up for members who wish to learn more from BBKA modules which follow on from the basic assessment. We are hopeful of more success this year . These study groups have proven a great way of learning and expanding your knowledge, and the exam is optional. Date: Begins 30th April, 7-9pm for 6 weeks. This 6 week course is providing further training for beekeepers who have kept bees for at least one full year and leading to the BBKA Basic assessment in the summer, which is optional. This the ideal course to improve your beekeeping knowledge and /or train for the BBKA first practical qualification often required by Allotment committees and other organisations to keep bees on their land. A practical session will follow the theory course. Please contact Janet Murray, to register interest. John Hewitt is running a course, via the Bacup Beekeeping club, covering the Honey Bee Biology module 5 syllabus but with no specific timescale, running once per month, and which he would expect will be completed about January or February next year. The course starts on Monday 13th May at Bacup running from 7.00pm to 9.00pm and will continue on the second Monday of each month, except July. It is open to any other BBKA member. The current attendees would welcome other beekeepers; the only request would be that they bring along £2 each session as a contribution to the room costs. There is no pre-requisite other than it would be helpful if they have already had bees for one season. For those who wish to do the Module 5 exam, he will run separate sessions where we will cover past papers and exam technique closer to what would be the opportune time of the March exams. if anyone is interested, would they please email John at john.hewitt3@talktalk.net and he will give them full details. Date: Begins Tuesday 26th February 2019, for 6 weeks. For anyone with an interest in bees and beekeeping, our beginner courses are the ideal introduction course, following the national BBKA guidelines. A practical session will follow the theory course, when it warm enough to handle the Bees. Please contact the association, to register interest. ********************************************************************************Anyone interested in taking the courses or requiring more information please contact the association below. We are as an association take a lot of calls regarding bumblebee nests. As part of the BBKA we do not encourage the removal of bumblebee nests and will not come out to remove them. Due to the nature and lifecycle of the bumblebee we would advise that you leave the nest alone if not causing any problems. Please use the link for the Bumblebee Conservation Trust Website for further advice. The National Bee Unit is issuing important updates on Asian Hornet sightings in the UK. Please make sure that you have registered your apiary on “BeeBase” to make sure that you receive news. Interested in helping local Beekeepers? Interested in honeybees and beekeeping but don't want to keep bees yourself? We currently have members who are looking for small plots of land to keep their hives and bees on. If you think you can help, then please email us and we will try to match you with a beekeeper in your area. ©2019 East Lancashire Beekeepers’ Association. All rights reserved.